Want to Know How to Floss? 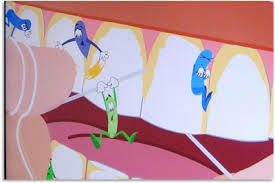 Over 600 types of bacteria found in the average mouth! This post is not only for those with braces, but for everyone who loves having healthy, white teeth and pink gingival, what is commonly known as gums. One’s gums should fit tightly around each tooth or have a smooth arcuate (bow shape) around each tooth. 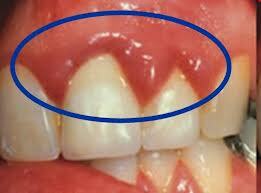 The gums fill the free gingival margins tightly (appearing sharp). Brushing incorrectly, result in many adverse heath situations. For example, the first of the issues that may be visible is “puffy” or swollen gums. They seem to have a rolled margin and a darker pink discoloration. At this point it is important to improve your brushing techniques. If not, further damage will be done to your beautiful smile. Gingivitis is common and is often times seen on patients with braces. It can be prevented through regular oral hygiene, which consist of daily brushing and flossing. 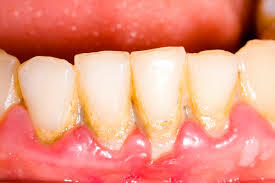 Signs of gingivitis are swollen, bright red or purple gums, gums that are tender or painful to the touch, bleeding gums or bleeding after brushing/flossing and of course everyone’s worst nightmare, HALITOSIS!! 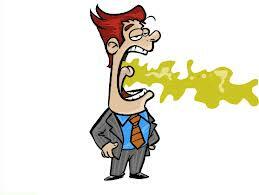 Halitosis genuinely is when the mouth exerts a foul smell. Those 600 different types of can produce high levels of foul odors when incubated (heated). Also from improper brushing, the tongue will produce foul smells. The back of the tongue has bacteria (not to be confused with the gooey, white coating on the back of the tongue) that goes undisturbed by normal activity. This section of the tongue is often times not cleaned properly by many. Although, the visible white coating on the tongue can also be a sign of halitosis. If bad breath is a fear of yours, now you know how to prevent it. Your local orthodontist at iSmile in White Plains or Yonkers, NY will assist you in how to brush and floss correctly.